A quality white plastic bottle trap from manufacturer Floplast. 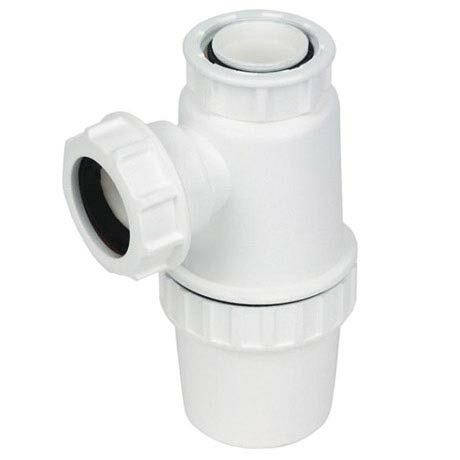 Manufactured in white high temperature polypropylene with compression type outlets that fit plastic and copper waste pipes 32mm/11/4". Base can be removed for clearing debris.